Obituary for Lethen Foxworth | Minor-Morris Funeral Home, Ltd.
Lethen Foxworth, Jr. (Butch, Doc Fox) was born April 3, 1948 in Joliet, Illinois. He departed his life on March 28, 2019. Lethen is preceded in death by his parents, Lethen and Ada (Dorris) Foxworth. 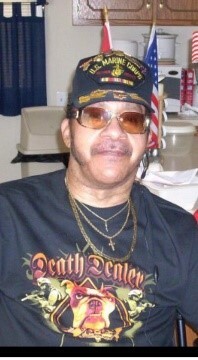 He is survived by his two children; Lethen (Michelle) Foxworth of Colorado Springs, CO and Leticia M. Foxworth of Las Vegas, Nevada; 8 grandchildren; 11 great-grandchildren; sister, Rose M. Holmes and brother, Edward C. Foxworth and a host of nieces and nephews and best friend, Leon Shivers. Visitation will be held on Monday, April 8, 2019 from 4:00-6:00 PM at the funeral home and Tuesday, April 9, 2019 from 10:00-11:00 AM at A Mt Zion Baptist Church, 402 Singleton Place, Joliet, Illinois. Service at 11:00 AM, Pastor Johnathan Mills, officiating. Interment following at Abraham Lincoln National Cemetery, Elwood, IL.